Get into a holistic yoga routine and enjoy its amazing benefits! Practice Pranayama Cardio, Hatha, Vinyasa, Ashtanga, and Meditation to build your body strength and balance with regular practice. 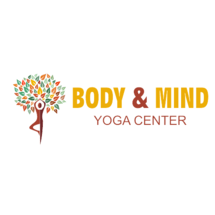 You will not only learn about the different yoga postures but also get to practice breath control techniques to release your internal energy and calm your mind. Your experienced instructor will be assisting and guiding you throughout the sessions to make sure you execute each yoga pose safely and effectively. Choose to book 5 sessions to get familiar with the practice and 20 sessions to enjoy the full benefits of the program.